Product prices and availability are accurate as of 2019-04-24 15:44:15 UTC and are subject to change. Any price and availability information displayed on http://www.amazon.com/ at the time of purchase will apply to the purchase of this product. The Glasfloss Z-Line Series pleated filters offer improved performance for virtually every application. 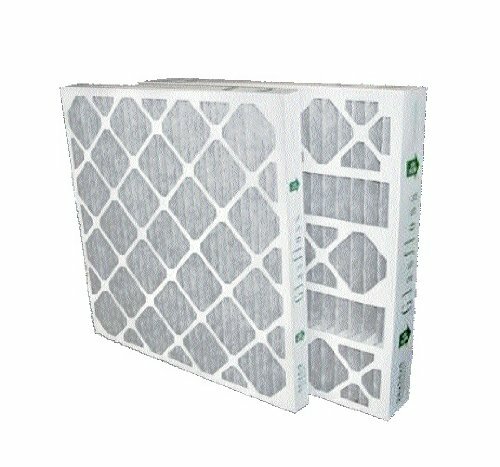 All Z-Line filters feature fibers which do not absorb moisture and will not support microbial growth. 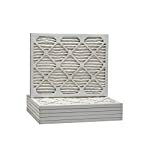 Z-Line filters achieve a MERV 8 rating per the ANSI/ASHRAE 52.2 Test Standard. The Glasfloss Z-Line Series incorporates exclusive double wall internal torsion box technology. The pleated filters can withstand greater abuse in shipping and handling due to the absence of metal component parts as well as the durable self-supporting filtration design. The Z-Line self-supporting pleated filters offer excellent performance and value for a large array of applications. The Z-Line Series filters are environmentally friendly and have less impact on landfills. The Glasfloss Z-Line Series offers the most complete line of pleated filters in the market. The mechanical structure of the media fibers sustains efficiency over the service life of the filter and produces high dustholding capacity. Glasfloss Z-Line Series pleated filters are used in a broad range of installations, from pre-filters for high efficiency filters to primary filters for computer room units.